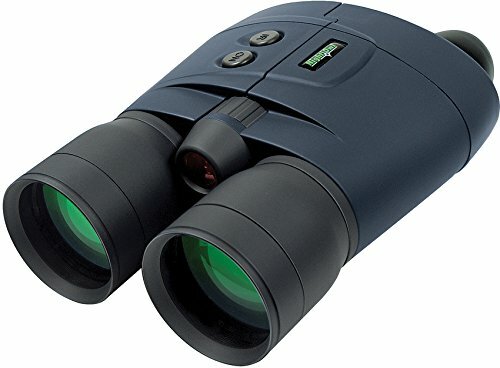 The easiest magnification binocular to be had, Night Owl Optics’ 5-power binocular is a sophisticated, highly acclaimed generation-1 binocular. The aesthetics, ergonomics, and function of this instrument are Top of the range and really helpful by the manufacturer for individuals who demand the easiest performance that generation-1 technology can be offering. A central focusing wheel permits for fast and simple focusing of both objective lenses concurrently. And Night Owl’s proprietary interocular hinge guarantees you that both optical channels are all the time centered precisely over each and every eye. Battery Life: 40 to 80 hours, depending on infrared usage.